Shoes – Aldo – on sale! Last weekend the boyfriend and I took advantage of the warm evening weather by heading to a nearby park on our bikes. It was perfect. We stopped to pick up a few drinks on the way, found a cozy spot in the grass, and enjoyed a few Strongbows as the sun went down (in plastic cups so we wouldn’t get in trouble!) We were lucky enough to spot a few shooting stars (and a satellite, haha) which isn’t always easy to do with all the city lights around. I hope to have many more evening like this one this summer. 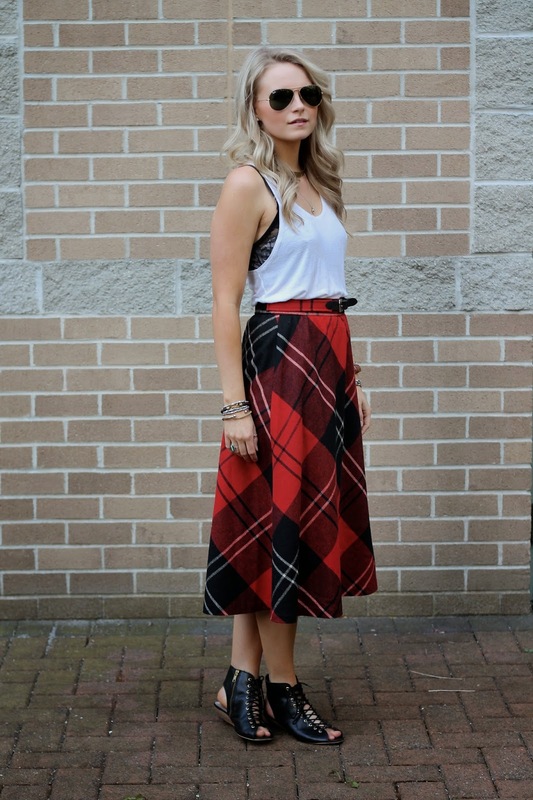 I didn't think you could glam up tartan but you definitely made Scotland your own – so cute!